Who among us hasn’t drunkenly slung back a few raw oysters at a fourth of July barbecue, or kicked back some uncooked clams just to feel alive? While it’s usually okay to enjoy a slimy shellfish or six, remains from very dead, mummified man show what happens when things go awry. 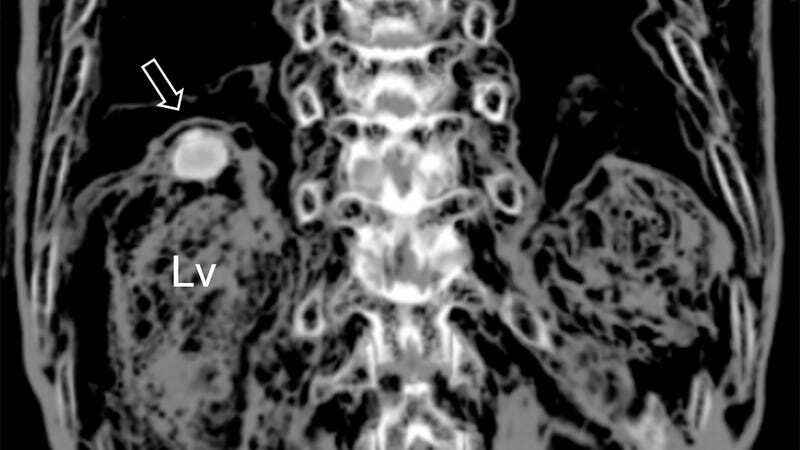 CT Scans recently performed on a 375-year-old mummified man revealed an unusual lump in his liver, which apparently harbored “a large number” of eggs from a parasitic fluke. The researchers surmise that the parasite, called Paragonimus westermani, came from consuming raw crustaceans, either for pleasure or ironically, medical reasons. At the time, doctors in South Korea believed “crayfish juice” could cure measles, so it’s possible this poor guy had the double whammy of sickness before he died. 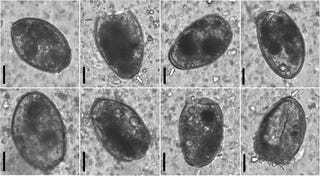 The nightmarish new research has been published in the Journal of Parasitology. This specific type of paragonimus infection called Hepatic Paragonimiasis occurs when the parasitic flatworms settle down in a person’s lungs or in this case, their liver. While the host usually doesn’t experience symptoms immediately, they can eventually suffer from diarrhea, vomiting, and even bloody coughing. So if this poor soul had measles and then this parasite, his death was the perfect storm of terribleness. Today, Paragonimiasis is not very common in the states, but it’s still found in Southeast Asia and parts of central and South America. The team that studied this mummy suggest that up to 293.8 million people worldwide could still be at risk. So if you ever want to enjoy raw oysters and rosé again, don’t look at this picture. Or this one. I’m warning you.